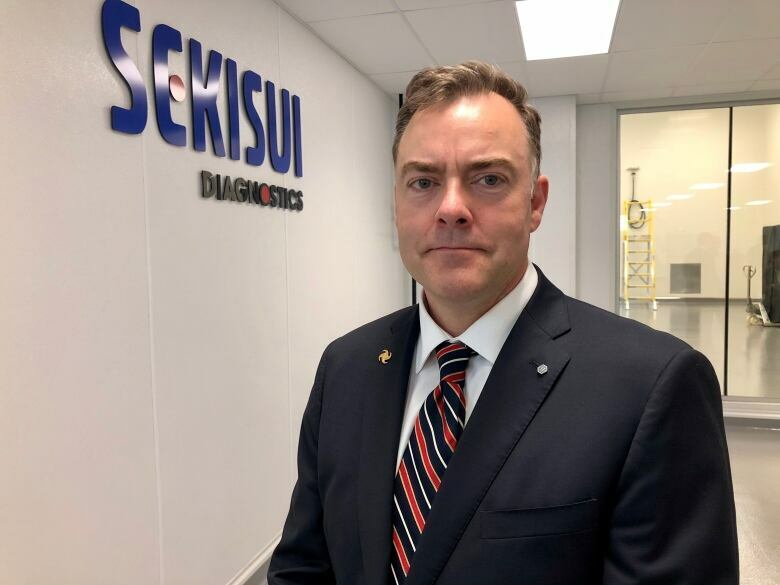 Sekisui Diagnostics opened up additional space on Friday at its location in Charlottetown and plans to hire more staff over the next few years. While bioscience staff worked over an assembly line of equipment for the medical field, a group of dignitaries and politicians cut a giant red ribbon behind them on Friday — unveiling the latest expansion for Sekisui Diagnostics in Charlottetown. The company makes in vitro tests kits, among other diagnostic tools. 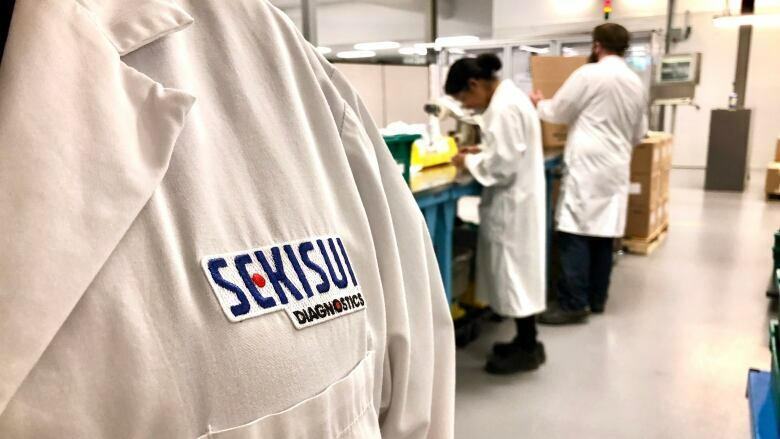 "It allows us to produce not only more product but higher-quality product," said Brian Stewart, site director for Sekisui Diagnostics in P.E.I. The 5,000 square-foot expansion cost $1.2 million, including an enclosed work area called a "clean room" for specialized, high-quality products that are now made by the company in Japan. "By making it here, we've improved our supply chain, reduced environmental impacts and increased job prospects for P.E.I.," Stewart said. Stewart said the work could add 15 workers to the current 124. The P.E.I. government gave the company $400,000 for this expansion, on top of $3.5 million dollars in 2017. The province owns the property and plans to recover that money through the company's lease payments. The government also provided an additional non-repayable grant of $200,000 to assist with the fit-up of the new space. "It creates employment, it enhances our provinces ability to take part in a very competitive area in terms of the global economy and it produces prosperity," said Premier Wade MacLauchlan. "In terms the investment that we made here today, we will see it back many times over." The Japan-based company has locations around the world. Charlottetown is its only Canadian location. "If you ask questions to the Japanese 'What do you think about P.E.I.?' 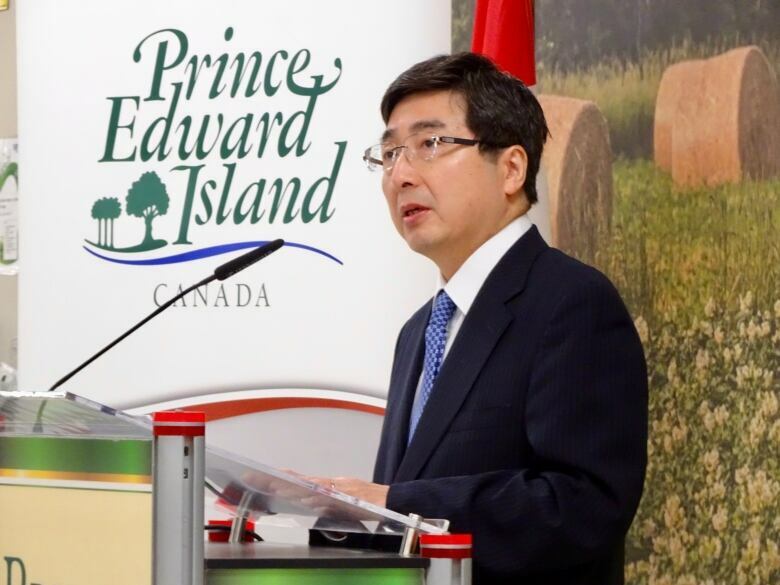 it is all about Anne of Green Gables," said Kimihiro Ishikane, Japan's ambassador to Canada. "That is something extremely important for tourist attractions, but the point is, in this Island, there exists a lot of potentialities for both businesspeople to interact and come up with new projects that could go worldwide." The premier also said other meetings are taking place with the Japanese ambassador to continue positive relationships. "Japan is currently our seventh-largest trading partner for Prince Edward Island and we would be happy to see that grow." Sekisui in Charlottetown has completed two major expansions in as many years.